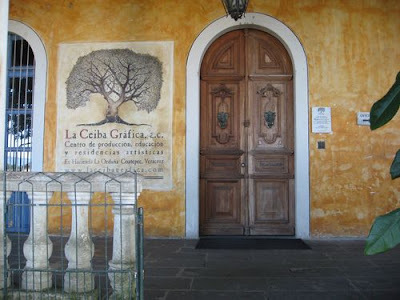 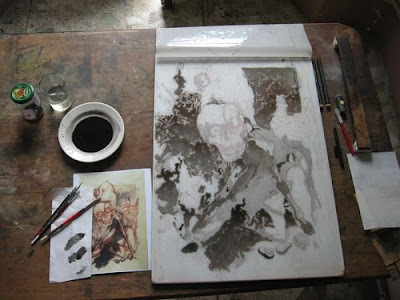 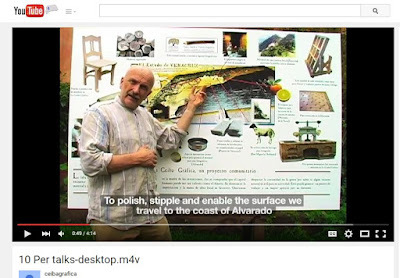 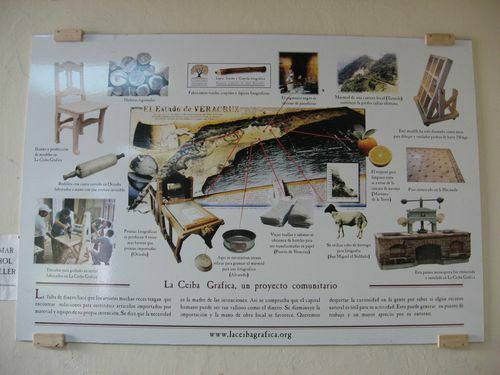 La Ceiba Grafica is run by Per Anderson and Martin Vinaver. 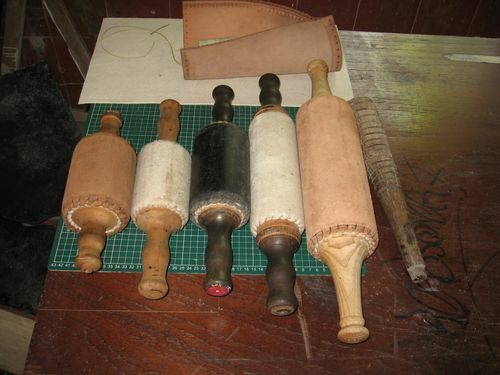 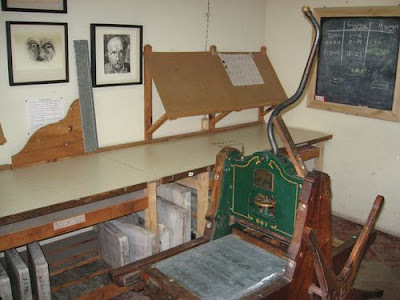 They make all their lithography tools locally. 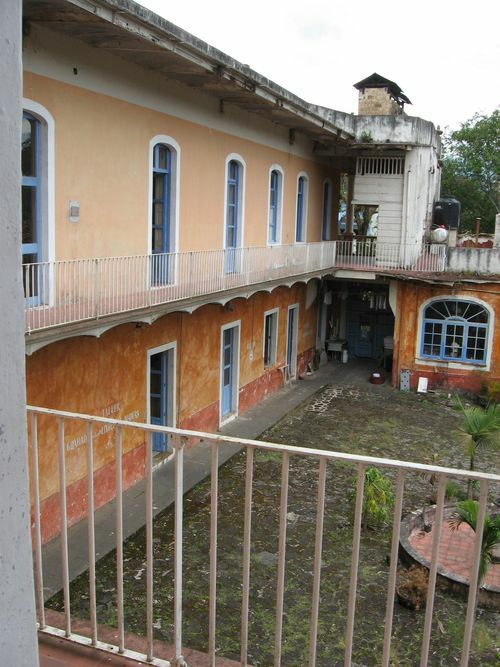 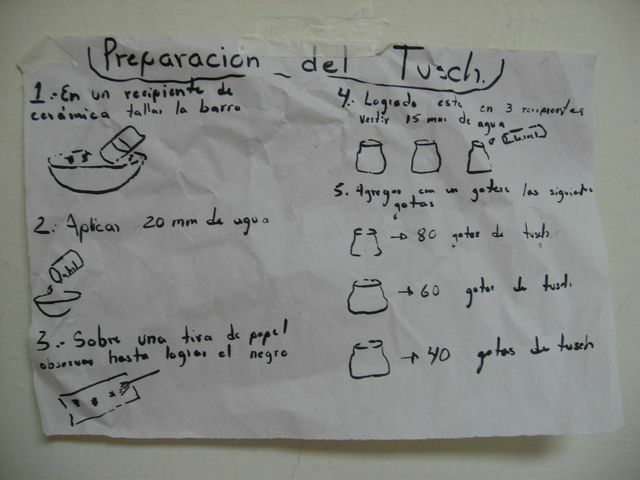 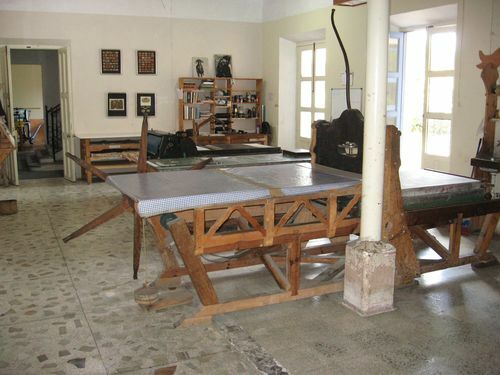 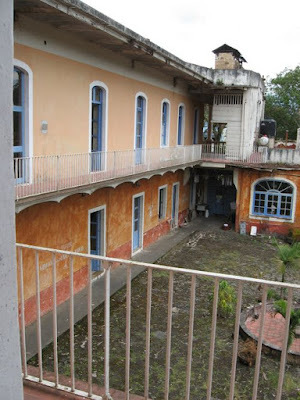 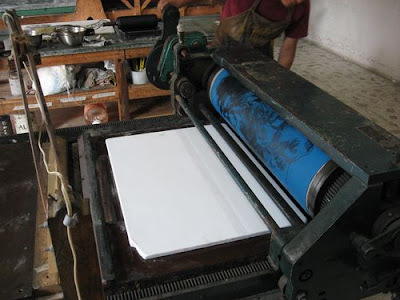 They use marble stones, mined locally in Veracruz, rather than German limestone. 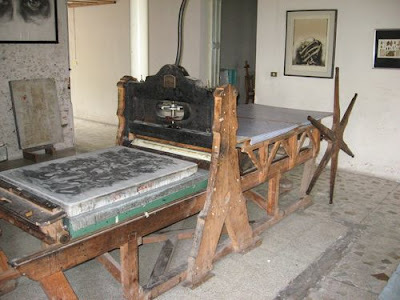 They make their own presses out of wood. 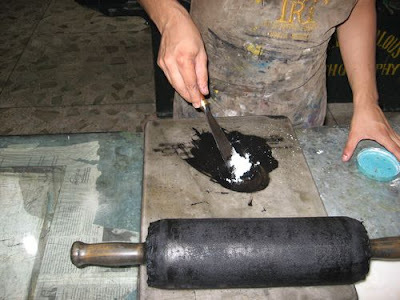 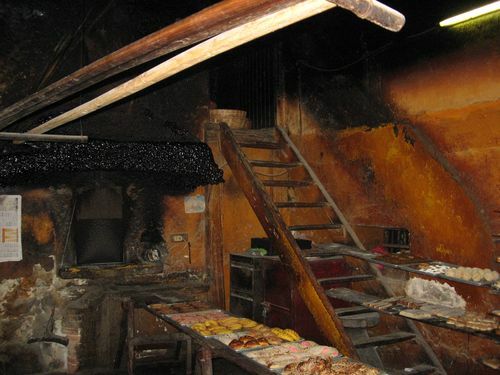 They scrap the soot off the walls of a bakery to collect the black pigment for their inks. They are growing kozo trees to make their own paper. 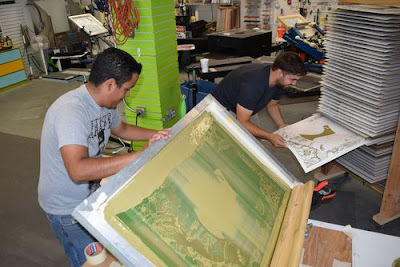 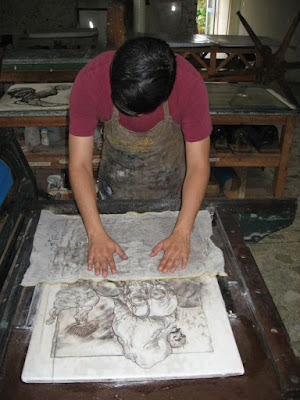 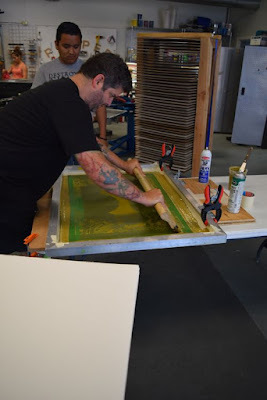 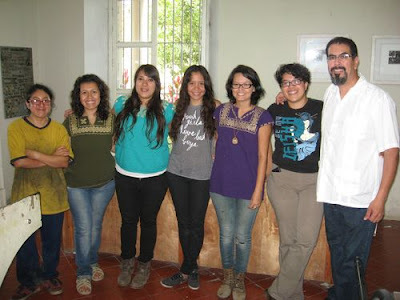 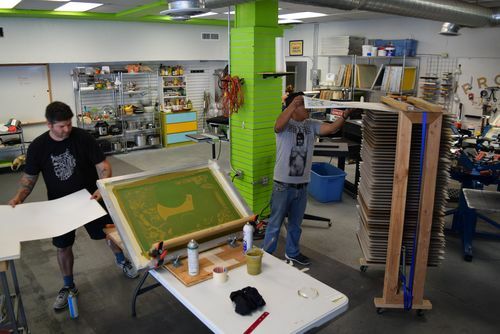 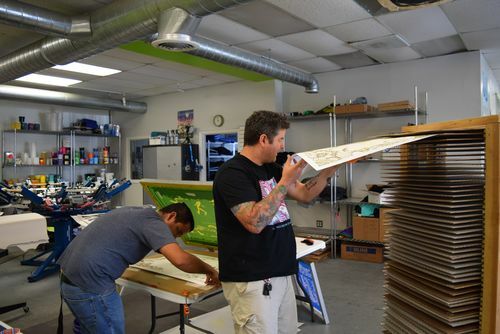 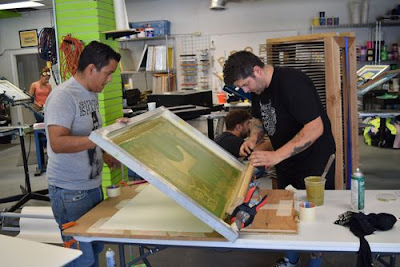 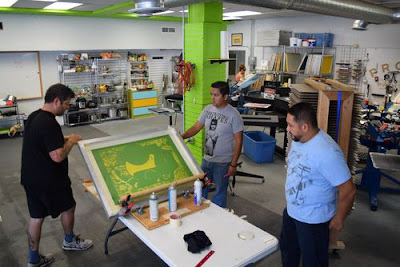 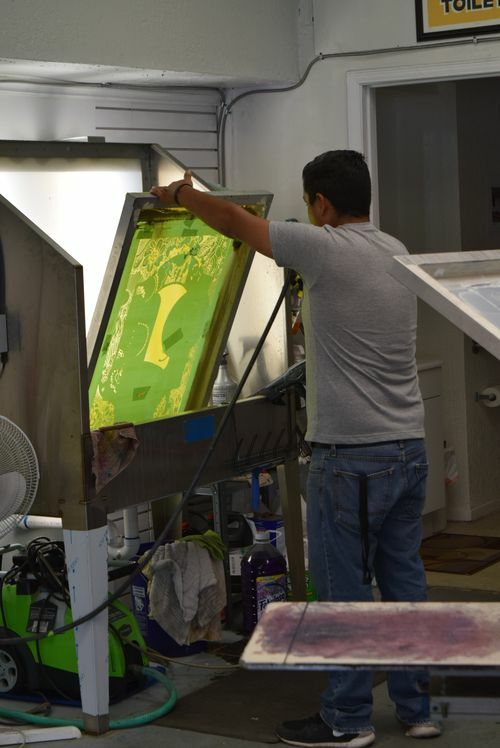 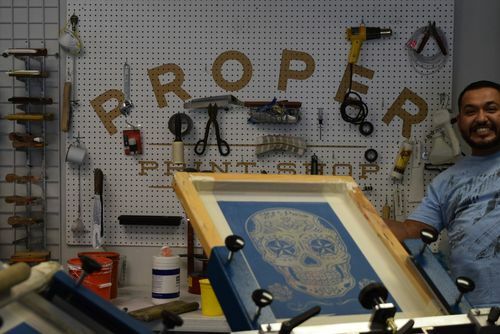 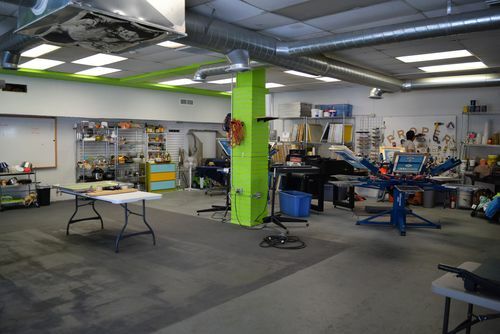 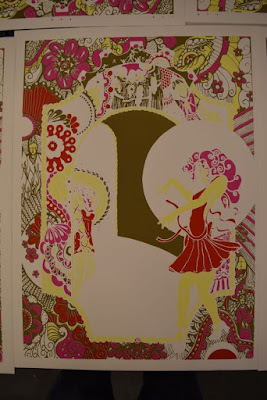 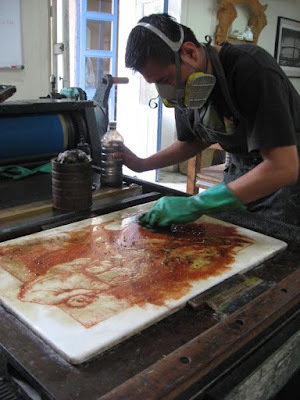 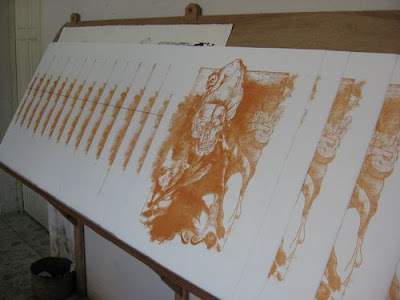 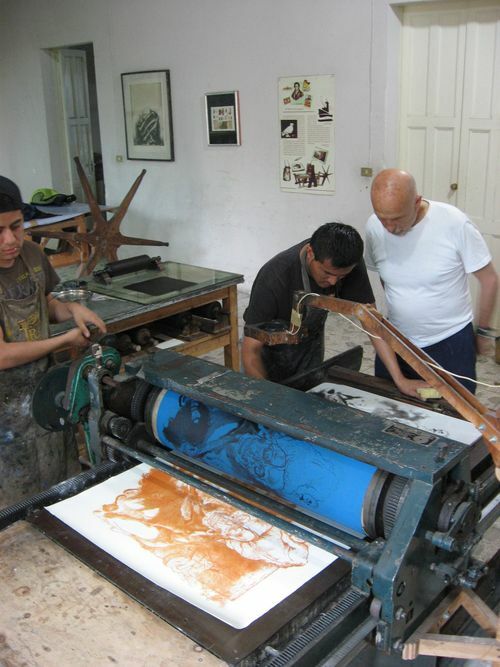 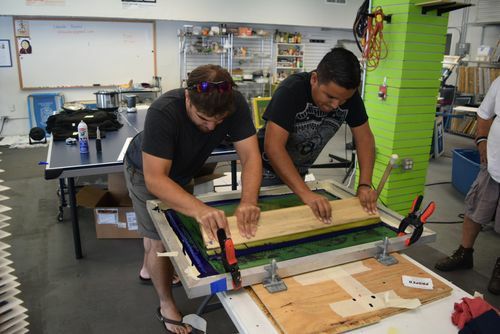 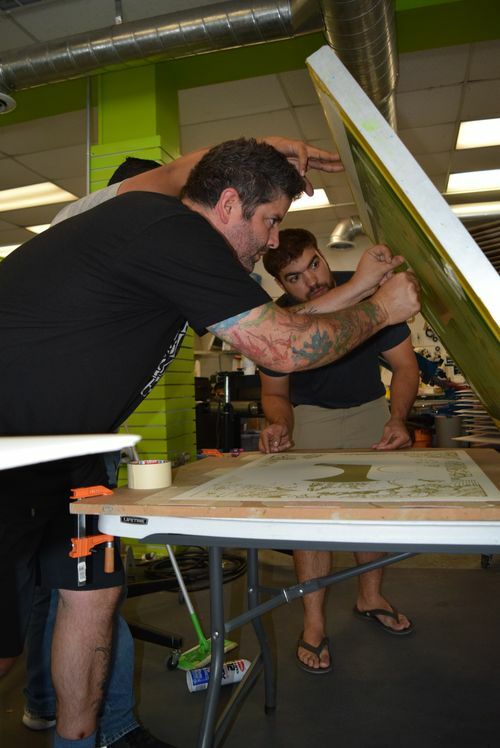 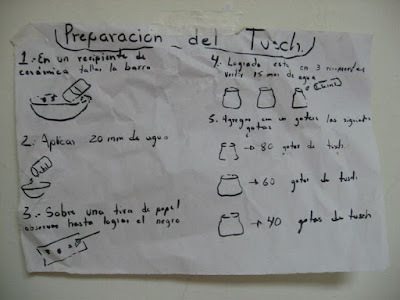 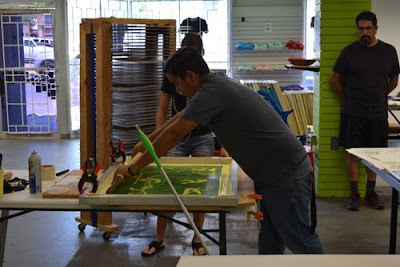 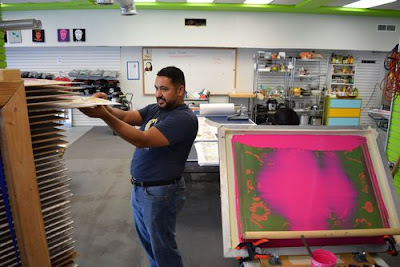 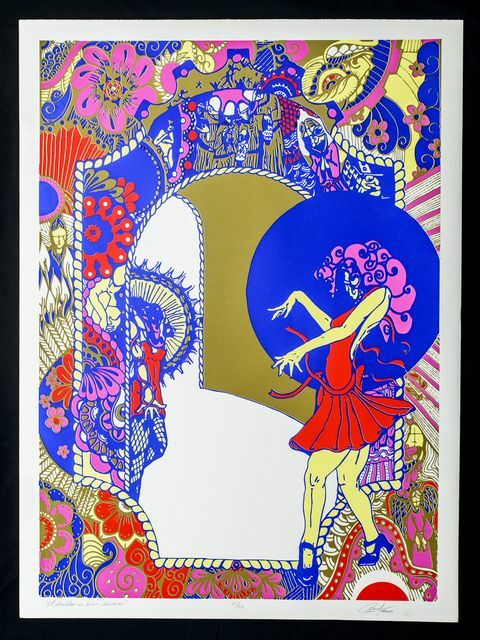 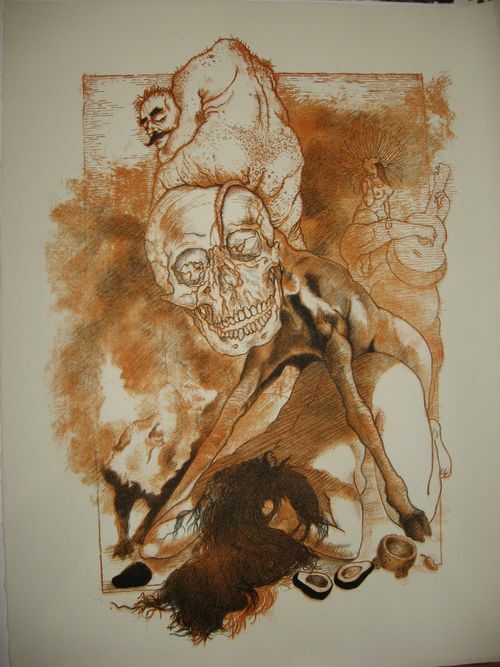 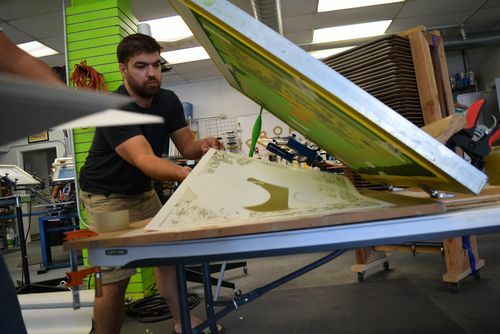 Printeresting sums it up very well in their post -- La Ceiba Grafica: Mexican Print Paradise. 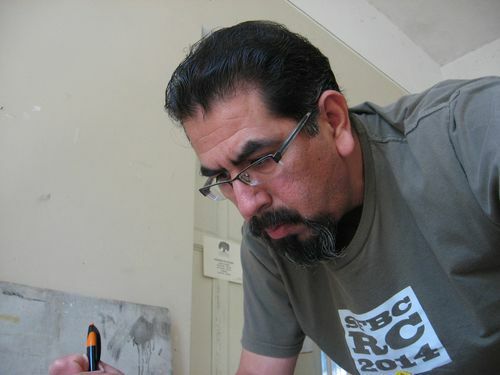 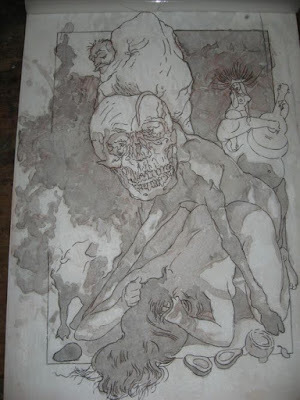 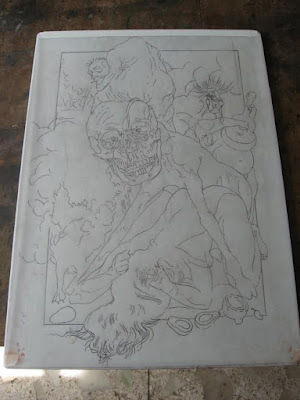 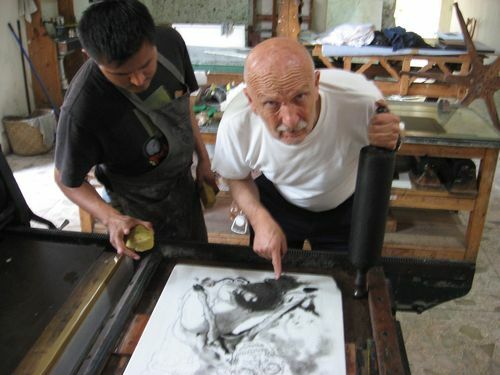 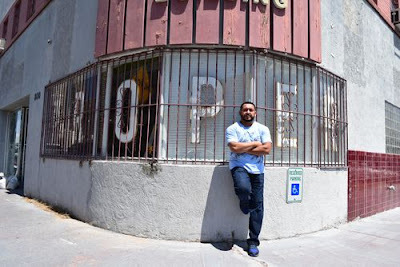 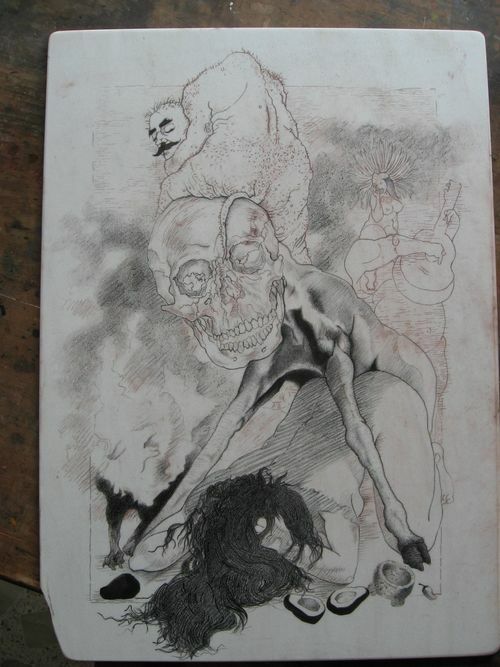 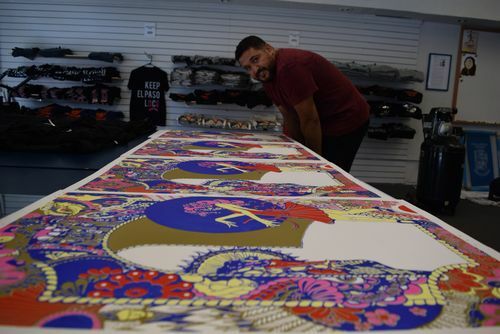 Manuel, along with Raul Monarrez, made Mark Christian's print edition. 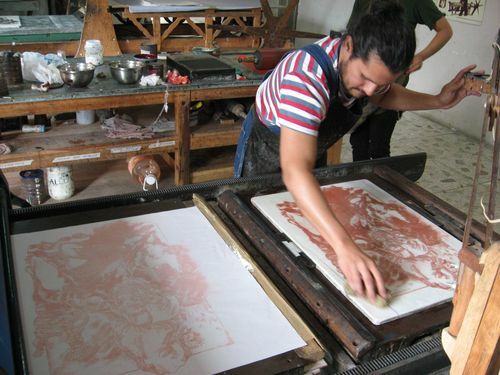 I also did a small lithography print at La Ceiba Grafica. 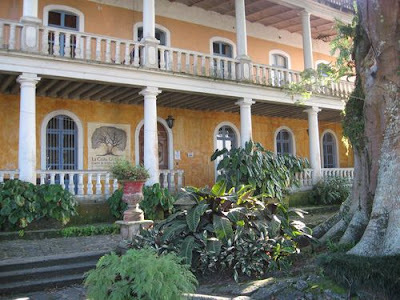 Besides promoting "sustainable lithography," this charming ex-hacienda produces wonderful prints, as artists from all over come to work there. 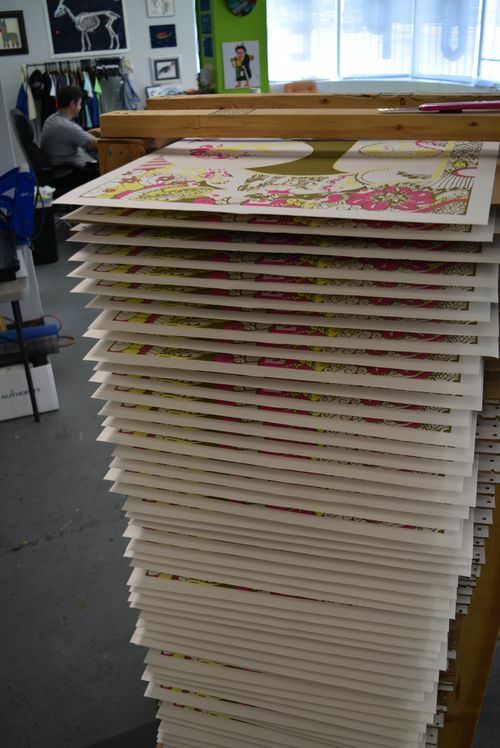 It really is a kind of print utopia. 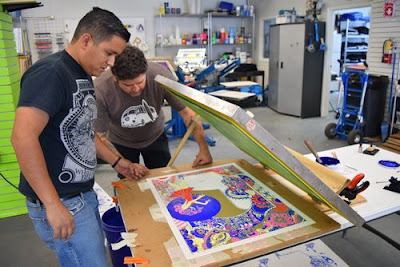 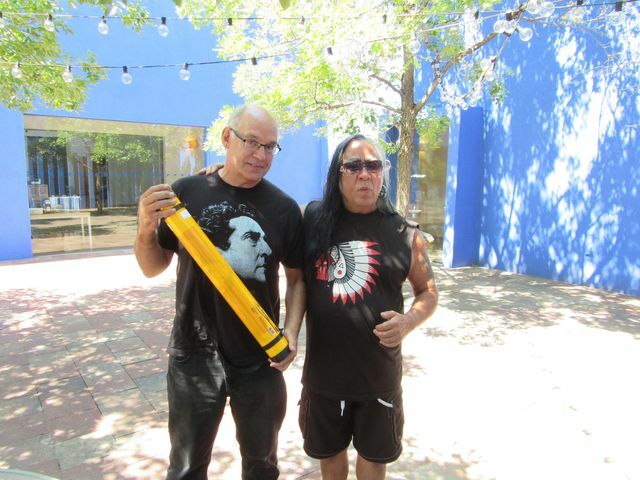 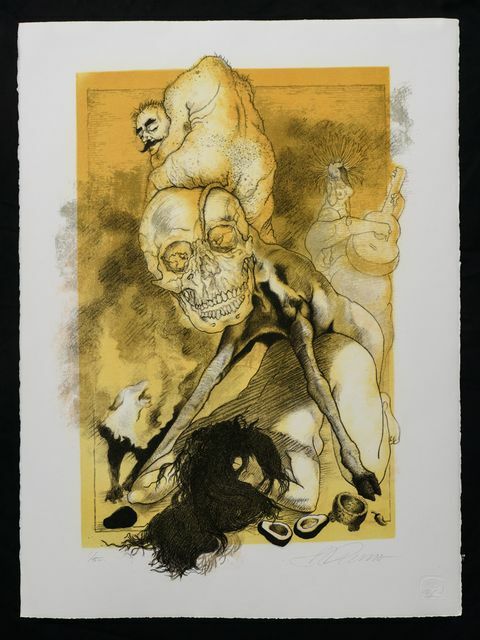 UPDATE (August 29, 2017): We made a "print sacrifice" and gifted one of Manuel Guerra's prints to Guillermo Gómez-Peña, who is doing a Pocha Nostra workshop at the Santa Fe Art Institute in New Mexico, public performance on August 31, 2017. "El Diablo es Bien Diablo"